Want to leave a lasting impression on clients, employees, friends, and family? 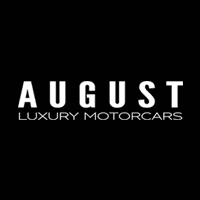 Host your next upscale event at August Luxury Motorcars. With endless possibilities and a venue unique and unlike any other, your event will be held amongst world-class vehicles in an open concept showroom type setting. From fundraisers and galas to private corporate events and receptions, your guests are sure to remember this one. or visit us at 884 McCurdy Place, Kelowna!